Looking for lathe tools? We have them, and in a wide range of materials and uses. 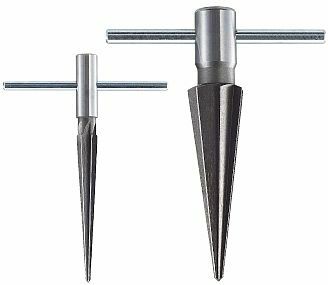 We stock indexable carbide inserts, parting off tools, turning and boring bars and many more from brands such as Seco and our competitive range of RS Pro products. For prepunching even and round holes, preparation of drill holes. Single-component handleBlade extends through handleBlade Length: 105 mm. 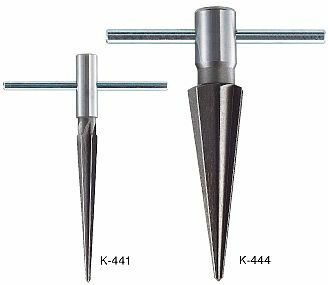 Reamer for a precise finishing of drill holes. Single-component handleRound blade extends through handleBlade Length: 107 mm. Adaptive size mmφ：4 to 22Number of blades：7Taper angle：12°Full length：124 mmWeight：155 g.
Adaptive size mmφ：4 to 32Number of blades：7Taper angle：20°Full length：149 mmWeight：330 g.